When Pierre and Connie Binot decided to purchase the Cuthbert House Inn, where they were once guests, Catawba Regional partnered with Coastal States Bank and provided an SBA 504 loan. 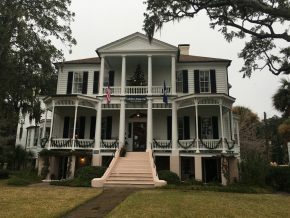 The Cuthbert House Inn is an antebellum mansion bed and breakfast with ten bedrooms, overlooking the intercoastal waterway in historic Beaufort. Guests are welcome to enjoy a homemade breakfast, as well as an evening social hour where they can get to know the owners. Nine jobs will be retained and an additional two jobs will be created as a result of this project.